Research papers on Canada discuss the differed and shared views of the country's neighbor, the United States. Canada is a country with a rich history. Research papers can be custom written on any Canadian providence or any aspect of Canada's history, geography, economic status or world relations. Canada is a large country but as a relatively small population. Canada is the second largest country in the world but only has a population of 32 million (Haglund). Compare that to its neighbour the United States with close to 250 million and with land not nearly the size of Canada and one can see where the issues for the country evolve. Canada has a unique relationship with its neighbour the United States (Haglund). This has to do with both the security and the economy of the country. The United States is the only superpower that is left in the world. They have both a strong economy and a strong military. Canada understands that if the United States was to be made an enemy, then there would be grave consequences for the country (Haglund). At the same time, Canada does not approve of everything that the United States has done and will do in the future. Canada has a very different perspective on many different things when it comes to governing the nation that the United States does not (Haglund). For example, Canada has figured out a way to make sure that all of the people have access to quality health care. This is a huge issue in the United States. Canada also sees that the crime rate in the neighbouring country is much larger in proportion to Canada. Both Canada and the United States also have similar ideas in some aspects. Both believe that freedom is a human right that everyone should have (Haglund). Canada also has to worry about terrorist threat because of the idea that they are so close to the United States in ideals. Because of all these issues, Canada has to walk a very fine line. Canada is an independent nation who first must look after the safety and security of its people. In order to do that, Canada must maintain friendly relations with both its more powerful neighbour and other countries while keeping true to their convictions (Haglund). Both countries know that they are not always going to agree and that is fine. Canada also wants to maintain ties with Mexico. Mexico is the least economically developed country in North America but is striving to change that. Canada sees that a pact with both of these countries will continue to help foster trade which is what drives the Canadian economy. They first understood the importance when Canada entered into the North American Free Trade Agreement with the other two countries in the 1990s (Rochlin 166). Another big issue that is addressed in the foreign policy is the how much Canada is willing to contribute to the international security and defence. In order to keep Canada protected, Canada has to help the international community deal with issues such as international crime syndicates and terrorists (Canada 2). These types of organizations have no concern for human rights or lives and therefore, are a threat to the national security of Canada. In response to the growing threat, Canada has restructured their military (Canada 2). The Canadian military has been restructured so that there is a single line of command which will enable it to act more quickly for the best interests of the country and its citizens. This new organizing of the military is united under “Canada Command’ (Canada 3). Canada is also working on expanding their military forces by adding 5000 new troops and 3000 new reservists, and making sure that the soldiers are well enough equipped to do their job and be safe in the process (Canada 3). Canada’s main goal in the military advance of the international community is to be seen as peacekeepers and support peace operations (Canada 3). Recently, Canada has done this by directing a Provincial reconstruction team in Afghanistan to help the country stay secure and rebuild (Canada 3). Canada has a leading role in the issues that surround Haiti (Canada 3). Canada has interest in helping in the Israeli-Palestinian issues as well (Canada 3). They want to help these people to end their conflict and then help Palestinians rebuild (Canada 3). Canada also has been monitoring the issues in Darfur in Africa (Canada 3). This is one place where the Canada criticizes the international community (Canada 3). Canada believes that the international community has been ignoring the suffering in this country for the ongoing conflicts and that they need to intervene on behalf of the people there. Canada has decided to help the African Union in restoring security and bringing stability to the region (Canada 3). They are offering to help in areas of training, equipment, and logistic support. Canada finally sees itself as a major player in peacekeeping of the international community. This is something that the country realizes will not only help others but also protects themselves. They show interest in the happenings in other parts of the world according to their own set of belief system. Canada steps out from the shadow of its neighbour when dealing with areas which they deem important in the international security issue. While their neighbour focuses on military action in Iraq and Afghanistan, which the United States see as threat to its national security, Canada can take a step back and look at the big picture. They see that there are issues which are not being addressed which need to be before something happens. The ramifications in Haiti and in Darfur are not major international worries for other countries but Canada has taken the time to see that there are problems in these two countries and have stepped up to help. Because of the war on terrorism led by the United States, the atrocities that are happening in other parts of the countries are being all but ignored (Bellamy 31-5). Darfur has been in civil unrest since early 2005 and the militias there are committing horrendous acts against human rights including genocide. Canada is at the forefront at pushing the international powers to do something about it. They see it as a threat to the international community because of their take on needing to help others. Canada also shows their disagreement with the United States in the Israeli-Palestinian conflict. The United States is pro-Israeli and until recently have been unwilling to speak against the Israeli government (Salloukh 39). Canada believes that both Palestine and Israel have done wrong and that both need to change (Salloukh 39). Canada supports a Palestinian nation to be set up and is even willing to help them with the building (Salloukh 39). Canada has an open economy which makes them the world’s eighth largest economy and the fifth largest trader (Canada 4). International businesses come to Canada because of their openness to trade and investment. This brings in many competitive industries and human capital to fuel the growth of the nation (Canada 4). At the same time, Canada realizes that exportation is key to their economy because there are not enough people who live in the country to sustain them internally. Because of these issues, Canada has a large interest in the global trade negotiations at the World Trade Organization (Canada 4). Canada is focusing on promoting international investment and scientific research relationships around the world (Canada 4). The United States is their most important market but Canada is looking to broaden its horizons with other countries which may be economic giants in the future (Canada 4). They signed a science and technology agreement with India and are in discussion with Japan and Korea (Canada 4). They are also pursuing China in areas and resources where Canada has an expertise, thus making the country invaluable to other countries (Canada 4). Because of the lack of population, Canada’s economy is extremely dependent on outside trade. While the United States is the leading trade partner of Canada, the nation sees opportunities out there for future trade relations with other countries that will benefit them. Therefore, Canada is starting to try to make relationships with these countries in the trade areas so that when they become these economic giants of the future, Canada also profits from it (Thompson 219). This will help strengthen the economy of the country but also Canada will not have to rely as heavily on the relationship with the United States. This does not mean that Canada is going to abandon the friendship with its neighbour but this will give the nation a chance to truly be independent and not interdependent on their neighbour (Thompson 219). Canada also has been helping other countries with international assistance such as the areas devastated by the tsunami in December 2004 (Canada 5). The problem had been that Canada was spreading the money that it was donating too thin and therefore, there the money that they were giving was not enough to help anyone (Canada 5). Canada has restructured international aid and has narrowed the places where their money will go in an effort to actually make a difference (Canada 5). Aid is now focused on 25 countries and concentrate on health, education, governance, and private sector business development, and the environment in those countries which will hopefully help them to develop and become self sufficient (Canada 5). Canada’s goal is to increase foreign aid 8% a year until it has doubled what was given in 2001 (Canada 5). Canada is also concerned with the role that it plays with other international communities regarding the responsibility it has to the well-being of all peoples (Canada 5). There are five areas which Canada is pushing in the United Nations regarding the well-being of others (Canada 5). The first is the responsibility to protect theory which holds governments accountable for how they treat their people and also gives the United Nations the right to intervene to prevent humanitarian catastrophes (Canada 5). Canada also believes that they have a responsibility, along with the rest of the world, to deny terrorists and threatening governments’ weapons of mass destruction (Canada 5). Canada also has the idea that all people have basic fundamental rights which should be respected and that each country that can should help others to develop and become self sufficient (Canada 5). Canada also sees that they have a responsibility to the future. Everything that is done today should be in anticipation of how it is to affect future generations and how to protect them (Canada 5). Canada’s policies regarding both humanitarian efforts and international aid help the country fulfill some of its own ideals. On top of that, it helps to create better international relations in the future. These countries which are in need of help today will hopefully remember that Canada helped them during their time of need. This will allow Canada to ask for help when needed. Another possibility is that these nations will carry out trade with Canada once they are able to become self sufficient therefore increasing benefit to the nation. Canada also believes in freedom and in order to support that belief, the nation is willing to support it in the international arena (Measuring Globalization 52). With the world becoming more and more global, foreign policy is going to have more and more emphasis on Canada. The Canadian foreign policy not only protects the country but also emulates that ideals and thoughts of the nation. These ideals have made the nation what it is today and will help it strive in the future. By showing the world its foreign policy, Canada has shown how strong the country is and on what matters to the country as a whole. This shows that the country is not willing to be pushed around and swayed unless it believes in what is needed to be changed. Canada and Potato Chips - Canada and Potato Chips papers include a discussion of international marketing, target market, and a proposed plan for entering a new market. 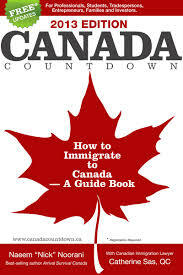 Roughing it in the Bush - You can focus on any aspect of Moodie's book when you need research on Canada or the Canadian population, have the writers at Paper Masters help. Universal Health Care - Universal Health Care research papers look into the system where citizens of a nation are provided with access to the health care system and financial protection. Paper Masters writes custom research papers on Canada and discuss the differed and shared views of the country's neighbor, the United States.